Speedway karts will race in several shared Sundays at Murray Machining & Sheds Speedway this season. In an exciting new development for the Speedway and dirt kart industry it has been revealed that a number of dates have been announced that will see the karts share the venue with Classic Speedway cars. The smooth racing surface desired by the Classic cars and the karts makes them a perfect fit for Sunday racing at the iconic Murray Bridge venue. 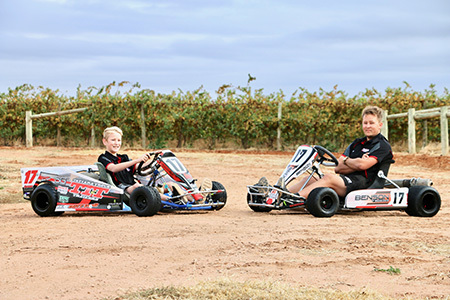 “We are really excited about this opportunity to grow Speedway karts in South Australia,” says SASKA’s Christine Allen, “the dirt karting industry in SA is a major community and whilst the majority of that racing is AIDKA circuit racing there’s certainly room for the Speedway kart discipline as well. 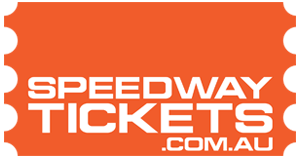 The Murray Bridge Speedway venue is perfect for the kart-racing concept with the size of the track being well suited. Liam Aunger, who travels with his younger brother Connor to race in Victorian events up to seven hours away from his home base of Mildura, is thrilled to hear about the Murray Bridge opportunity. The first event of the SASKA schedule is Sunday, November 11 at 12pm sharp. Please contact Shelby Allen on 0499 666 036 for more information and to nominate. There will also be March 31 and April 28, 2019. Saturday night, December 1 will also be a demonstration run on Ultimate Pink Night however only 125’s and self starter classes for that night due to time restrictions.